The testing phase is in full swing, also in Austria. We’d like to take the opportunity, to inform our followers about one of the recent activities taking place here. The University of Applied Sciences in Wiener Neustadt offers a masters’ programme named “Ecodesign – Ecological Product Development”. 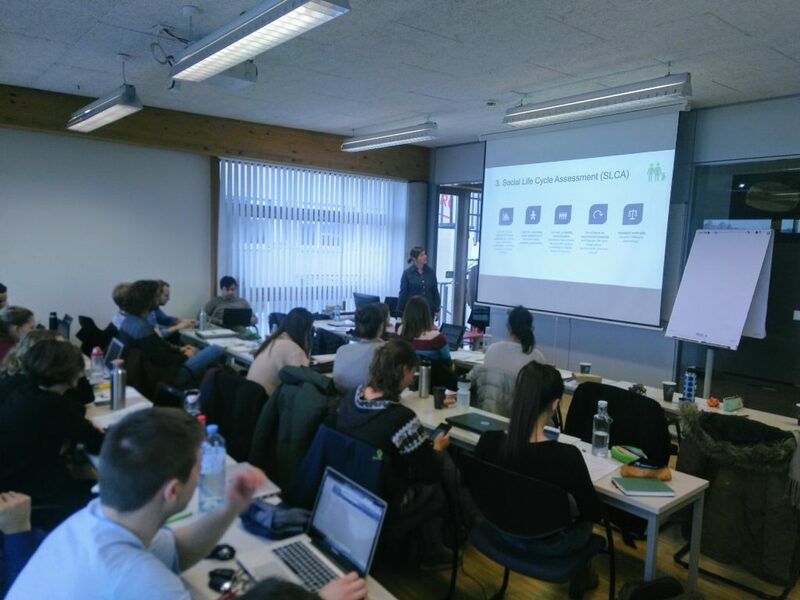 Content wise and with its focus on interdisciplinarity, the students of this masters’ programme represent one of the of the core target groups for the KATCH_e materials in Austria. Rainer Pamminger from the Vienna University of Technology teaches one of the courses, concerned with life cycle assessment and sustainable product development. The course takes place on two weekends, on the 11th, 12th, 18th and 19th of January. This year we took the chance to test a broad range of KATCH_e materials and get valuable feedback from the students. Maria-Kalleitner-Huber from the Austrian Institute of Ecology also took part on the first weekend, where the module on Life Cycle Thinking was tested. The students were confronted with different products and applied a range of different LCA methods, such as cumulative energy demand, water footprint and carbon footprint. The following weekend will focus on Design and Business Models.